Ultimately, the Court rejected all their arguments but two; namely, their complaints concerning detention at ADX Florence and the imposition of special administrative measures post-trial, and the complaints concerning the length of their possible sentences. The applicants have been indicted on various charges of terrorism in the United States of America. They are the subject of two separate sets of criminal proceedings. Each applicant then contested his proposed extradition in separate proceedings in the English courts, and had been unsuccessful. The appeal to the European Court was a last roll of the dice for each of the men. The court had regard to a March 2008 Amnesty International report entitled “To be taken on trust? Extraditions and diplomatic assurances in the ‘war on terror’”. The report set out the organisation’s concerns that the United States Government, in its efforts to counter terrorism, had given broad discretionary powers to the President. It had also failed to observe its international human rights commitments, notably through the torture and ill treatment of terrorist suspects, the practice of “extraordinary rendition”, and the detention of enemy combatants at Guantánamo Bay without trial or access to a lawyer and without any capacity to challenge that detention through the US courts. The applicants complained that there would be violations of Article 2 (right to life), 3 (inhuman and degrading punishment), 5 (right to liberty), 6 (fair trial), 8 (private and family life) and 14 (anti-discrimination) of the Convention if they were extradited to the United States. Those assurances were also insufficient to prevent their being subjected to extraordinary rendition. There was a real risk they would be detained in a “supermax” prison such as ADX Florence. Three of the men claimed that the extensive publicity which the United States Government’s counter-terrorism efforts had attracted would prejudice any jury, particularly when they were to stand trial in New York. Abu Hamza alleged that any jury in his case would be prejudiced by the fact that he had been identified as an international terrorist by the United States Government. The first three men alleged that the threat of a long sentence by United States prosecutors would lead to coercive plea bargaining amounting to a flagrant denial of justice. Finally, the first and second applicants alleged that their detention by the United Kingdom authorities pending their extradition was in violation of Article 5 of the Convention as there was no requirement that the United States Government demonstrate a prima facie (at first sight) case against them in its extradition request. The Court found that nearly all of the men’s complaints were inadmissible. Whatever the breadth of the executive discretion enjoyed by the President in the prosecution of the United States Government’s counter-terrorism efforts, the Court is unable to accept that he, or any of his successors, would commit such a serious breach of his Government’s assurances to an extradition partner such as the United Kingdom; the United States’ long-term interest in honouring its extradition commitments alone would provide sufficient dissuasion from doing so. The problems for the court were in relation to the men’s potential imprisonment in ADX Florence, a “supermax” prison in Fremont County, Colorado. The men provided the court with a great deal of evidence in respect of supermax detention, including conditions of detention at ADX Florence, and its effects on prisoners (see paras 87 to 97 of the judgment). The court found that there was no evidence that detention at ADX Florence would prevent the applicants from properly instructing their legal representatives. 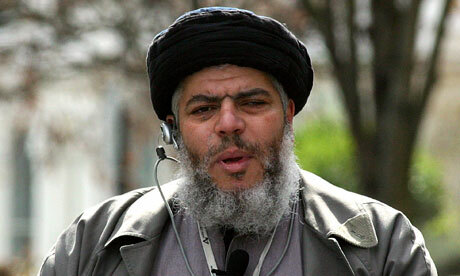 The court was also unconvinced that Abu Hamza’s disability would not be properly catered for in ADX Florence. However, the court was concerned at the “serious questions” raised by the men in relation to conditions at the prison. The remarkable aspect of this case was the litany of charges made against administration of justice in the United States, usually reserved for less democratic members of the international community. The judgment ultimately ran to 70 pages and rejected almost all of the complaints, save those relating to the potential length of prison sentences which the men would receive, as well as the worrying conditions in US “supermax” prisons in general and ADX Florence in particular. The decision will worry United States authorities, who have up until now enjoyed fairly smooth (some would say too smooth) extradition machinery . Whilst most of the charges, notably relating to worries of inhuman and degrading punishment, were rejected, the fact is that at present it is difficult to see how any terrorist suspect who would face the risk of detention in a supermax prison could be extradited at all until this case is fully decided. This was an admissibility decision only, so the case will now go to a full merits hearing. US authorities will be anxiously awaiting the outcome.